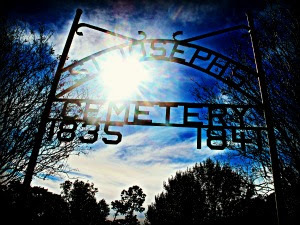 Saint Joseph Cemetery is the only remnants left of the lost city of Saint Joseph, Florida along the forgotten coast. Once a thriving commercial centre, Saint Joseph was obliterated by yellow fever in 1841 and was abandoned. Nothing remains but this graveyard, aptly dubbed Yellow Fever Cemetery. Thousands are buried here, mostly in unmarked graves.